Yodel duet that juggles glitches and gaps, until silence takes over. Credits Composition: Myriam Van Imschoot. 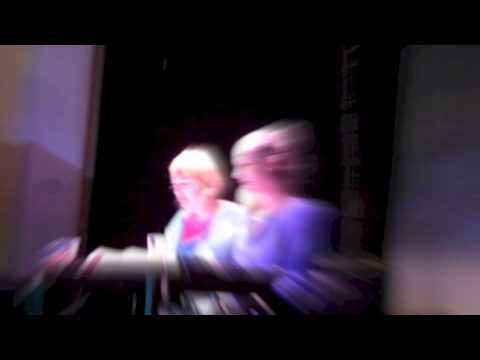 Performance: Doreen Kutzke and Myriam Van Imschoot. Support: Pianofabriek Kunstenwerkplaats. video (27’08”, Language: German; English subtitles, colour, HD) that portrays Doreen Kutzke, a singer from Kreuzberg, who raised in the former GDR, saw yodeling as a missile to make walls crumble. Van Imschoot makes performances, creates sound poetry and vocal pieces, exhibits video and sound installations. She holds a unique position in the Belgian art field, moving between institutional fields and media, with a keen interest to experiment with contexts when not creating her own. Fascinated by the phenomena of long-distance communication, she has embarked on a cycle of work which explores yodelling, crying, waving, bird calls and insect chorus. Her pieces Hola Hu (2013) and Kucku (2014) performed with Doreen Kutzke are deconstructive yodel duets that reframe folklore as it’s transmitted and altered. She also made the video portrait Yodel Portrait Doreen Kutzke (2015). Kutzke is a German actress, performance artist, composer, singer, and vocal-teacher specialing in the art of yodeling. She grew up in the Harz Mountain region and started yodeling & singing at the age of six. 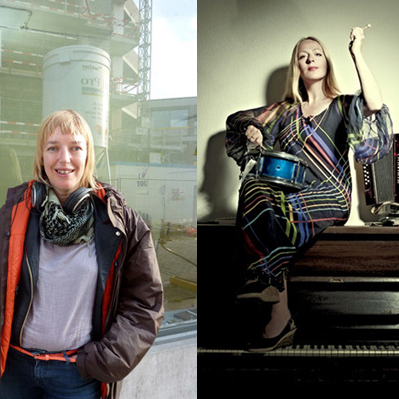 Her activities includes workshops, performances and concerts with numerous projects; with Malcolm Arison (The BossHoss) as Kutzkelina & The Devils Harmonica, with Dagobert and Philipp Bellinger as Kutzkelina & Die Österreicher, with singer and multi-disciplinary artist Ute Waldhausen as Parabelles, with performance artist and composer Daniel Löwenbrück as Raionbashi & Kutzkelina, with Volker Könitz as Kutzkelina & Herr Könitz, with performance artist Myriam van Imschoot, and solo as Kutzkelina. She founded the Jodelschule Kreuzberg in Berlin and teaches yodeling all over the world.